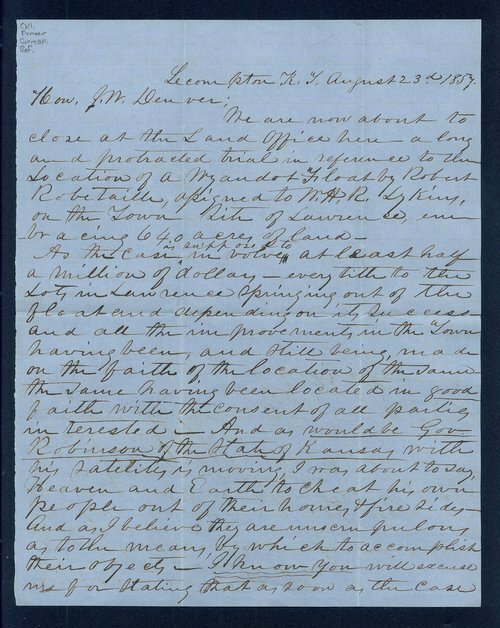 In this letter to General James W. Denver, W.B. Almond explains that a case involving Wyandott land was about to be closed by the U.S. Land Office, which was part of the Department of the Interior. Almond informs General Denver that "every tith to the lots in Lawrence" depended upon the outcome of the case, which involved "at least half a million of dollars."